Many of our clients find that 24-hour support, for a short period of time, helps mom recover quicker, the family adjust to new demands and schedules, and head off ‘baby blues’ or postpartum depression. For parents with multiple children under the age of 3, around-the-clock care allows parents to give attention to their newborn while avoiding the stress and guilt of taking time from their other children. 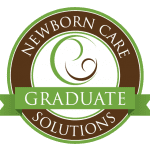 Most of our clients continue around-the-clock care for 2-3 weeks and then adjust the schedule based on the newborn’s progression at home.